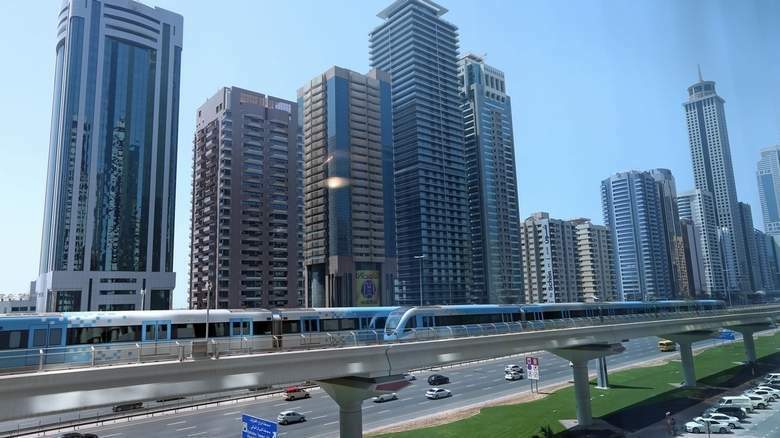 If you are a regular commuter on the Dubai Metro, the cheapest two-bedroom apartment you can hire for rent is near the Burjuman Metro Statio on the Red Line. Two-bedrooms here cost only Dh65,000 annually to rent. According to a recent survey published in Khaleej Times, landlords in Dubai are offering all sorts of incentives to retain existing tenants or try to win over new ones. These include free months’ rent, multiple cheques and waived commission. Tenants in Dubai can work on honing their negotiation skills since residential rents are expected to continue their decline during the second quarter of 2018. Rents in Dubai witnessed an average 12-month change of -4.2% in Q1 2018, says the report. People are always on the lookout for accommodations near the Metro. The unfailingly punctual Dubai Metro is the lifeline of millions of UAE employees who travel across its extensive routes to their offices everyday. Connecting most residential and commercial areas in the emirate, the Metro allows commuters to sail over peak morning and evening traffic. No wonder that people are always on the lookout for accommodations near the Metro. A statistics published earlier in Khaleej Times reveal that by opting to stay a few metres up or down a Metro station on both the lines can result in significant cost savings.